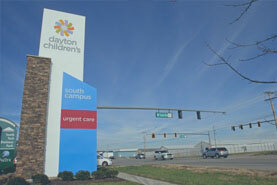 The Dayton Children's main campus emergency department treats over 80,000 children every year. It provides the highest level of customized emergency care for a child seriously hurt or ill.
Children are not just little adults. They react in different ways to illness and injury, medications and treatments. 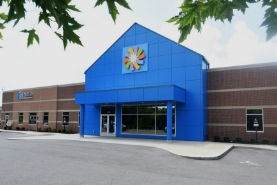 Dayton Children’s experts are specially trained to care for children in any emergency. A pediatric emergency room is the best place for any child, from birth to age 21, to be seen for serious injury or illness. Each member of the emergency department staff, from doctor to nurse to medical imaging technician, has extra training in the special needs of children. Trauma-credentialed, pediatric emergency physicians lead the team and focus on customizing each treatment for the specific needs of the child. When needed, the child can be admitted to surgery, intensive care or another inpatient unit to receive the specialized pediatric care they need to make the best possible recovery. Our main campus emergency department offers a free lot for families located next to the emergency department. 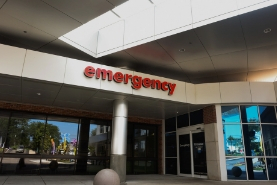 when should I visit an emergency department? When in doubt, call your doctor. Even if the doctor isn't available, the office nurse can talk with you and determine whether you should go to the ED. Learn more about choosing urgent vs. emergency are.